18,000+ clients trust our products and use them successfully. We started the company in 2012, and we’ve constantly improved our products ever since. We’ve received over 1,400 five star reviews from our happy customers. WpEstate has over 5 years of experience in creating WordPress themes for real estate industry. We take pride in delivering Intelligent solutions, state of the art design and the best support on the market. Since our launch we have developed 3 premium themes, which have been purchased by over 17,000 clients. 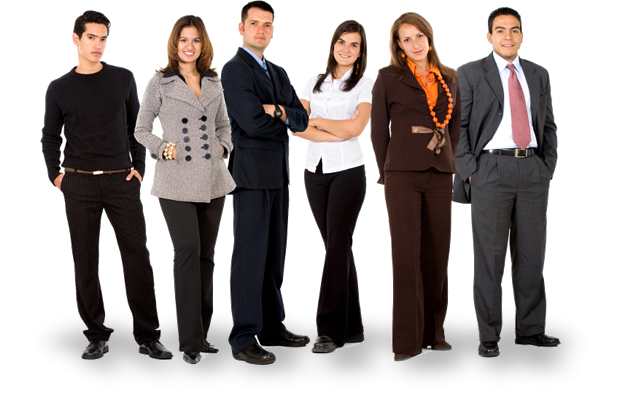 Real estate website owners have always appreciated our customer support services and products. Over 1,400 five star reviews received for WpResidence, WpEstate and WpRentals themes bear testimony to that. Wp Residence is our top real estate theme, with over 400 features and options. It is well suited for any real estate agency, real estate portal, or single real estate agent. This theme has been in every real estate top for the past 4 years. Wp Estate was our first theme we developed back in 2012. It has been constantly improved in the past 5 years, with new and exciting features. With a modern design, this is the perfect tool to have for real estate agencies or agents. 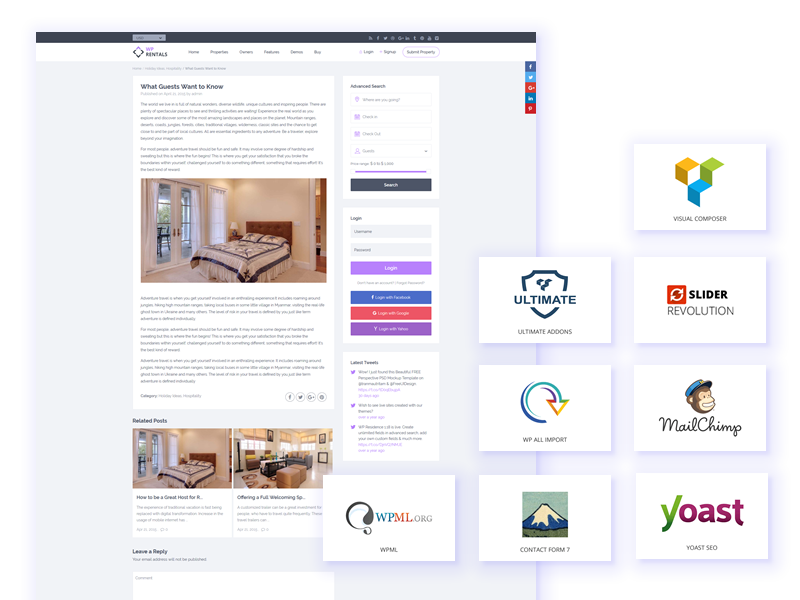 With Wp Rentals theme you can build your own Airbnb website. 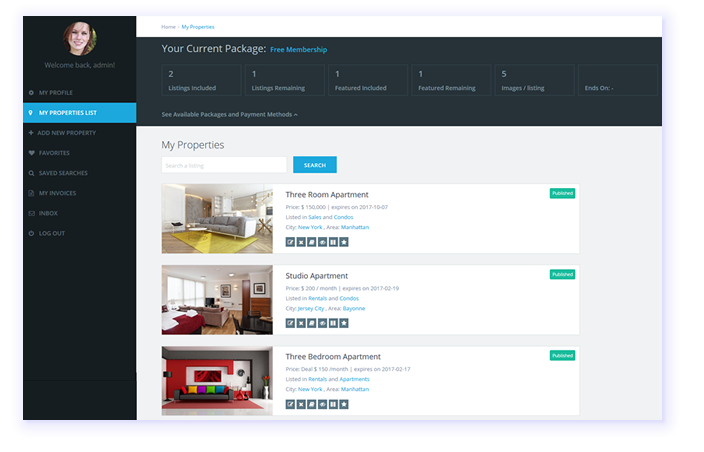 Rent out your properties, add custom prices per night and charge visitors for extra features. Or you can build a portal and publish other people listings. This is maybe the most important functionality a powerful real estate site. Your users need to find real places fast. And we have you covered. There are 11 types of advanced search form on WpResidence (7 on Wpestate) and both support unlimited search fields. And, most noteworthy, you can choose which are the searchable fields. After a successful search, your users land on the listing page. Here you must efficiently showcase the property details and capture the leads. For this purpose our themes offer you several page templates with tons of options. You can choose from various image gallery sliders that can display single properties in tabs or accordion style. For each listing you can have custom fields, show reviews, yelp data, Walkscore, virtual tour, floor plans, sub-listings. The user can save favorites, print property, see similar listings and reach the property agent by contact form or private message. All your properties must be presented in an effective manner. 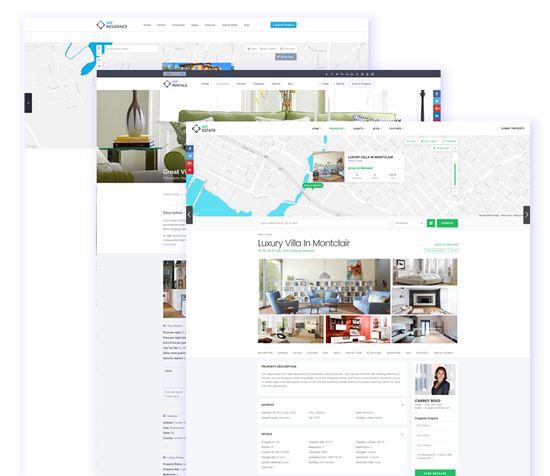 Our real estate wordpress themes offer you several options for the list page. The page can be a standard list with a custom header. Another option is the list in the half page format (map on the left, listings on the right). Both options are available with property cards in grid or list format. If you choose the standard list, you can set it to show a sidebar on the left, on the right or no sidebar at all. And you also get two different (but effective) ajax filtering system on both list versions. All our themes come with an advanced management system. You can create unlimited custom fields, features and amenities and add unlimited images for each property. You can also add a video from youtube or vimeo. Furthermore, you can manage property Google Maps settings, or assign the listing to any user type (agent, user, agency or developer). Registered users can save their searches and their favorite properties. The website sends notifications when it publishes new listings according to their search. In addition, you can enable users to register and submit properties via a front-end interface. There is also an invoice management system, allowing users to check their purchases made on the site. This feature is mandatory in case you monetize your website by membership or paid listing. The latter is when you allow users to add their own properties. And you can choose to enable a private messaging system between registered users. 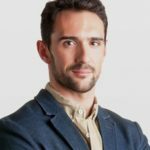 WpResidence is your wild card if you want to create a professional real estate portal with WordPress. It is suitable for several real estate entities: realtor agencies with their agents and listings and individual agents who can list their portfolio properties. Furthermore, it suits well for developers who showcase their new buildings and add their own agents. Each user type has its own page with contact details, an “about us” section and of course its properties easily sortable by category. These days is not enough to just showcase your featured properties. You also need to publish valuable content and attract users with compelling articles. With our themes, you are able to choose from many attractive blog pages to build an interesting article section on your site. Create your own custom post types and link them to your social media channels in order to attract visitors. You can build top-notch pages with Visual Composer & Ultimate Addons for the Visual composer that comes with all themes from our portfolio. We also include the best plugin in the world, Revolution Slider, hence you can create an engaging slider. All these plugins come in the theme package, you don’t have to pay anything extra and you will save 95$. Our real estate themes supports the Optima Idx and dsIDXpress plugins by default. As a result, you can have access to MLS data in a heartbeat. Remember that IDX plugin compatibility means that if you add 3rd party plugins, the themes will not return any errors. BUT the properties added through the plugin can be managed only with plugin features, options. The are two ways you can make money – you can charge users for each listing or you can enable the Membership system. You can also get a commission for each booking the user confirms in Wp Rentals. With the membership system, you can define packages that include: number of listings, the package duration, and its price. Furthermore, you can also define the number of featured listings, number of images (in Wp Residence only). 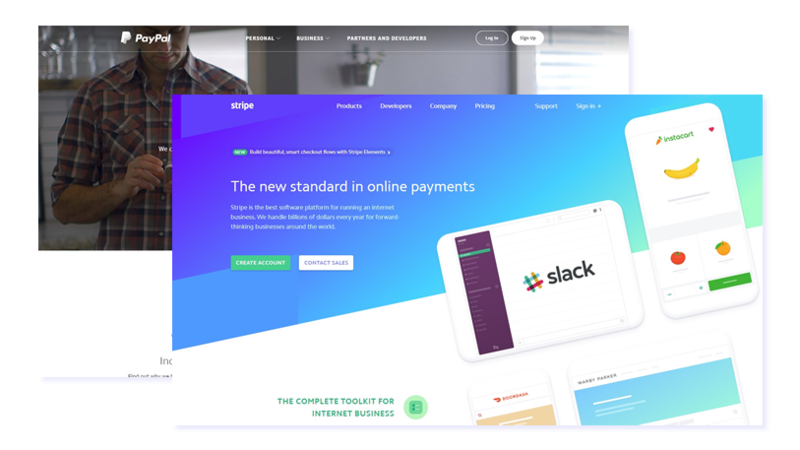 And we have integrated Paypal and Stripe as the default payment gateways, and Wire Transfer for offline payments. Without maps, a real estate website would be impractical. And since we want the best for our clients, we have some unique features for this purpose. You can place the listings on the map and assign a unique marker for each category. Or you can choose to display the price for each property (like Trulia or Zillow). 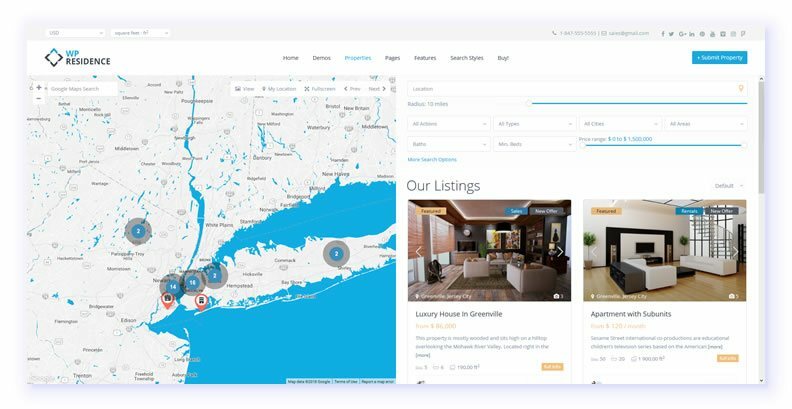 You can also filter the pins on the map, navigate between listings and use cloud grouping for speed optimization. Or you can use the geolocation search (for WpResidence and WpRentals) to see what listings are around a center point. With over 1400+ 5 star ratings to confirm our customer services and products quality, we dedicate our time and efforts to provide the best client experience possible. Our themes are well documented and we have video tutorials for all products: WpResidence, WpEstate and WpRentals. And since videos are easier to follow, we have made around 100 video tutorials covering all aspects of our themes. You can view them on our YouTube channel! The first thing buyers see are your photos. Make sure you choose the best images and add plenty of pictures. If you have a presentation video, that is even better. You can upload it on youtube or vimeo and embed it on your page. Another nice touch is the virtual tour, which our themes support too. A little harder to produce, but it will dramatically increase the leads you get. 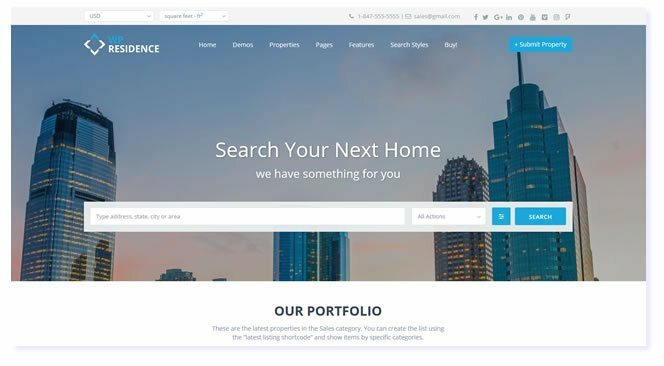 Our WordPress real estate themes have it all. You can create an engaging website very quickly, with several slider, video and virtual tour options for appealing effect. Just play with the theme features until you get the perfect design you desire. Having a booking or contact form on your property page is a must. No matter how beautiful that page is, if the client cannot contact you, you will lose him. We took care of this aspect, so you have a contact and booking form on every listing page. This delivers the messages to the owner/agent in charge of the property. Alternatively you can use contact form 7 and develop your own forms. Make sure you add as much details as possible. 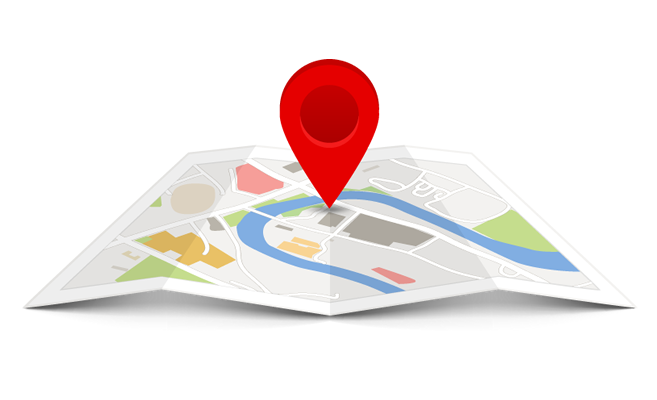 If your location allows it, use Yelp/Walkscore to show distances between various points of interest. Use the mortgage calculator so user can simulate various payment plans. You can upload any pdf you may have about the property. That also includes the floor plans for your listings. All of the above are options included in our themes, so you just need to use them. 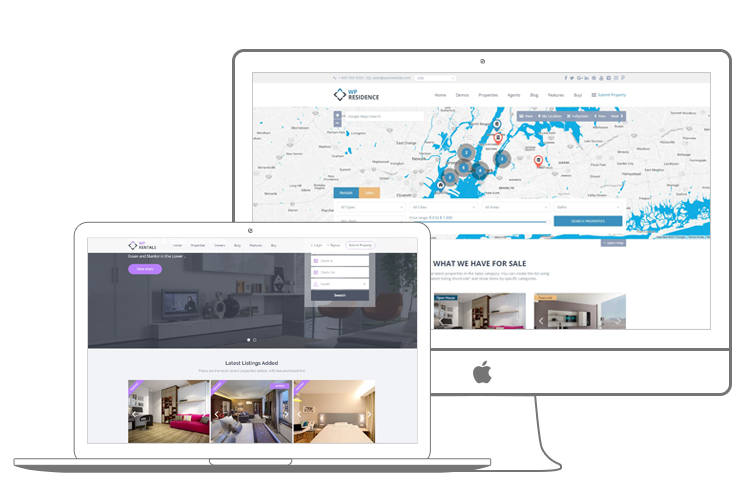 Showcase your best properties on the main page. Make sure you use the best pictures and get your visitors attention from the first moment. All our themes have the options to publish featured listings. So make use of this feature and highlight the best listings. Mobile devices have surpassed desktop computer use. If you do not have a mobile ready website you will lose clients. Make sure your website loads fast on mobile devices. You should include a touch ready menu and ensure that all features work correctly on tablets or smartphones. Listing property information is an absolute necessity. Take a step further and include instructions that will help your customers get familiar with all the terms. Create a separate page that provides users with useful guidance about the buying process. In addition you could include definitions of terms such as fixed rate mortgage, adjustable rate mortgage, and more. Every real estate business strives to get known, develop client loyalty and win sales. Your website should help you achieve your business goals and work to your advantage 24/7. 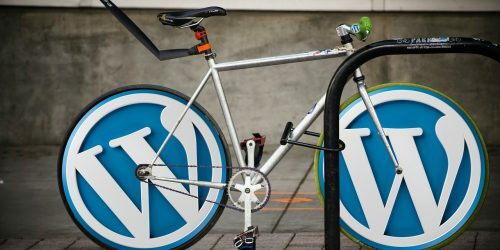 Here are 99 reasons for why you should use WordPress for your real estate business website. Do you want to increase your sales and get more home buyers on your website ? Worried that your clients may not find you? Read our guide and improve your online presence. What can I say about this theme? Is it smooth? Yes! Is it responsive? Yes! Is it easy to modify? Yes! 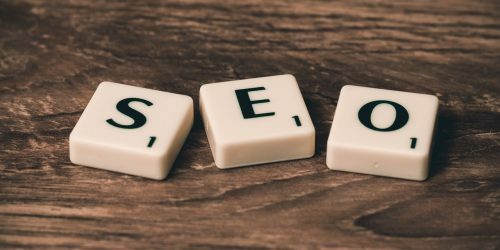 Is it SEO friendly? Yes! Do you get great support? Yes! With this theme you don’t have to be a whiz kid to have a perfect website. But there is more than this. I have been looking for a while for a great Real Estate theme that offered what we needed. WP Estate has everything we could wish for, excellent design, great features and above all a unique concept with the integrated Google Maps feature. This allows us to start our new concept with ease. I Would like to take this moment to thanks Anna for the great help and support. I just wanted to say Thank you to Anna and her team. This theme is amazing. I would certainly suggest it for your Real Estate and Rental site needs. The help section of this theme is detailed and should get you up and running in no time. The theme has been updated with some nice improvements that came about because of user requests, and of course Anna is awesome to communicate with! Give this theme a try! Allow myself to write a review here. In my practice of using this theme appeared questions related to my ignorance. I want to express my thanks for the support of timely, quality answers that helped me solve the problems and fill my brain with additional knowledge. Thank you very much. Thanks so much for your full engagement to support. I need to let other users know that you and your team are a very dedicated team, and the upgrade shows continuously improvement, which make your theme quite different than other competitors. 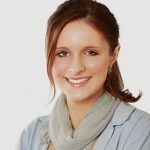 Hi Anna, I want to really thank you and your partners/team for such a marvelous work. WP RESIDENCE is everything I wanted in a theme (Real Estate systems) and a whole lot more. The new feature in 1.07 brings the theme head and shoulders above the field and the great support you ve provided me over time had made my WordPress Life easier. A newbie like me now feel like a WordPress champ all thanks to your support and your team. Counties/state and Auto Complete features! Just flat out awesome. However, wanted to say how blown away I am not only with the quality of your themes but also the outstanding level of service. I have used Residence theme for 2 clients already and I find this theme and all its features absolutely fantastic! Since we are an EU based company we must comply with GDPR rules. So if you want to subscribe please use the button below. It will send you to a GDPR compliant signup form.